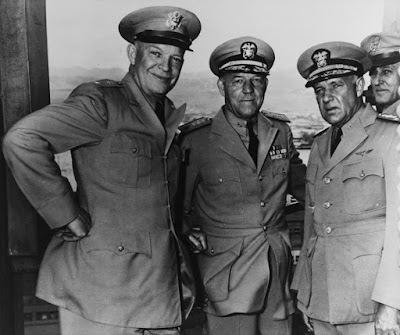 The U.S. Navy history website offers a look at General Eisenhower's message to the troops before the invasion of Normandy. Today, June 6, marks the 72nd anniversary of D-Day when Allied forces landed troops on Normandy beaches for the largest amphibious landing in history, Operation Overlord, beginning the march eastward to defeat Germany. 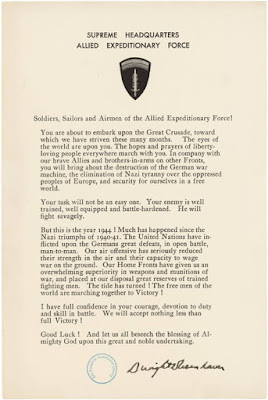 The below order was issued by Gen. Dwight D. Eisenhower to encourage Allied Soldiers, Sailors and Airmen taking part in the D-day invasion of June 6, 1944.